In this fantasy adventure, young Jedi Knight Obi Wan Kenobi finds a potential new Jedi in Anakin Skywalker, a precocious kid he meets on Tatooine. Meanwhile, the Imperial Senate engages in lots of political maneuvering. This prequel was the fourth Star Wars film released but the first part of the chronological narrative. 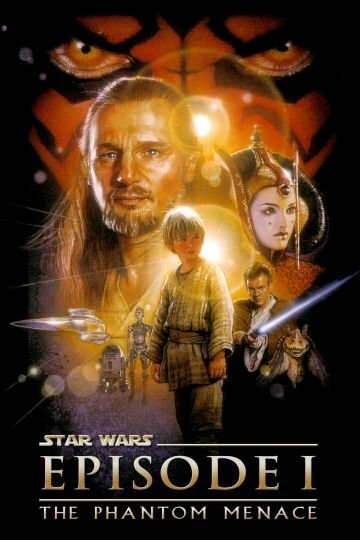 Star Wars Episode I: The Phantom Menace is currently available to watch and stream, buy on demand at Amazon, Vudu, Google Play, iTunes, YouTube VOD online. Did Ewan McGregor's Daughter Insult Him on Social Media? The boy who played a young Anakin Skywalker landed in jail in South Carolina this week. The actress is doing modeling work again after giving birth two months ago. Prepare for the Star Wars. If it's not enough that Disney is currently producing a "Star Wars: Episode VII" directed by J.J. Abrams, don't worry. Josh Trank, who helms the "Fantastic Four" films, has been slated to direct a standalong "Star Wars" movie. Rumor has it that Disney has chosen its screenwriter. Which director is also tweeting that she may be involved in the project? George Lucas has signed over his company to Walt Disney Studios, who promises to bring more "Star Wars" to the big screen... Is this good news or bad news? What Will George Lucas Do With His Disney Billions? Lucas opens up about what he's planning to do with the big bucks after selling LucasFilms to Walt Disney Studio.